Look away if you have a sweet tooth—Jim Carrey’s latest Trump-themed drawing might ruin chocolate cream pie for you for life. 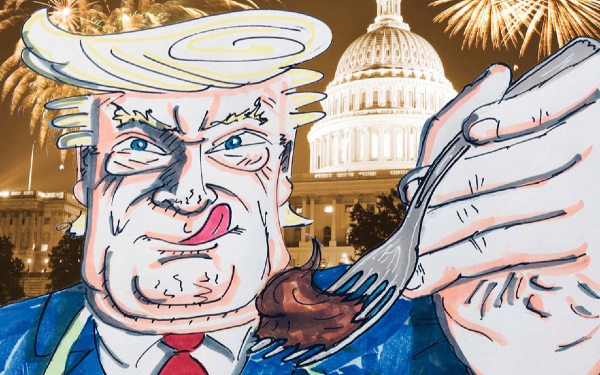 On New Year’s Eve, the actor and activist shared a photo-illustration of US president Donald Trump licking his lips and digging into a plate of what looks like a chocolaty dessert… except that it’s a pile of poop and will leave a bad taste in your mouth. For good measure, the dish is adorned with a miniature Russian flag.